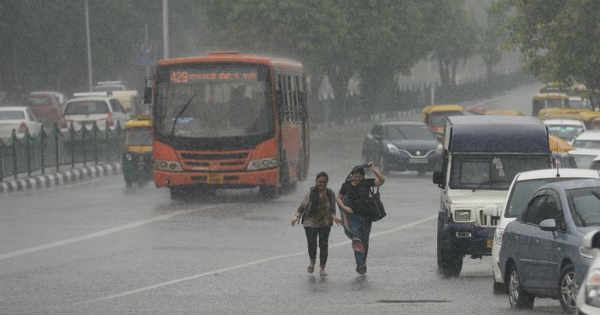 As reiterated by Skymet Weather, during the last 24 hours, Punjab and Haryana experienced their first widespread winter rain and thundershower activities. In fact, many districts over these states also observed hailstorm activity. Although isolated light rains have occurred earlier also over the northern parts of Punjab and Haryana, but this rainy spell was very heavy and covered almost all parts of these states. In the last 24 hours from 08:30 am on Monday, Pathankot recorded very heavy rain to the tune of 94 mm, followed by Ludhiana 54 mm, Karnal 17 mm, Patiala 15 mm, Amritsar 13 mm, Narnaul 12 mm, Chandigarh 11 mm, Ambala 8 mm, Sirsa 5 mm, Bathinda and Hisar 3 mm. These rains have been attributed to the passage of an active Western Disturbance, which is touted as the strongest system of the season. In fact, its induced cyclonic circulation over Central Pakistan and adjoining Punjab, North Rajasthan and West Haryana region is also a prominent one. Now, in wake of the above weather systems, moderate rains with isolated heavy spells are expected to continue over the eastern parts of Punjab and Haryana. However, rain intensity will decrease over western parts of these states. Further, Punjab and Haryana will observe on and off rains until tomorrow. Places like Chandigarh, Pathankot, Hoshiarpur, Ludhiana, Patiala, Barnala, Jalandhar, Karnal, Ambala, Sonipat, Kurukshetra, Panipat, and Yamunanagar stand fair chance to record light to moderate rains. Thereafter, rain intensity will decrease, and weather conditions will start clearing up. By January 24, minimums are expected to drop by 3˚C to 4˚C over most parts of Punjab and Haryana. Thus, due to commencement of icy cold northwesterly winds, night temperatures will drop significantly, and day temperatures will rise resulting in winter chill over many parts of these states.